Canada is just killing it as per usual. Not only is our home and native land an amazing place to live, but it attracts visitors from all over the world due to its incredible natural landscapes, epic adventures, inviting lifestyle, and sometimes too nice people. We have recently been named the second best country in the world according to the 2018 Best Countries report, and one of the best countries for ethical travel. Today, moves were made that further prove Canada as one of the most inclusive countries in the world. The Government of Canada is committing to promote and increase tourism in a way that harnesses the economic potential of LGBTQ2 communities, and it is continuing to build a reputation as being one of the most welcoming countries for tourists. Today, the Government announced a collaboration with Tourism HR Canada that will introduce a series of diversity training workshops that will take place across the nation to better support the LGBTQ2 tourism sector. A priority will be to work with the Canadian Gay & Lesbian Chamber of Commerce to improve visitors’ experiences in Pride events and festivals. 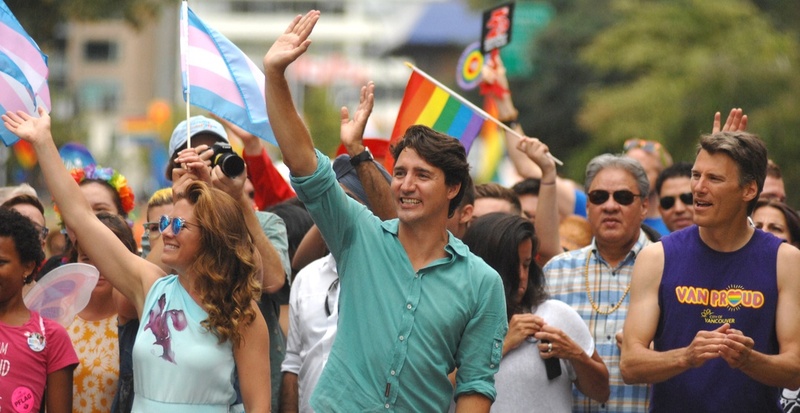 The Prime Minister won the International Gay & Lesbian Travel Association’s 2018 Pinnacle Award, which recognizes efforts to make a destination more welcoming. LGBTQ2 travellers, on average, vacation four to six times a year, spend 33% more than other travellers, and are known to return to places they appreciated. LGBTQ2 travellers spent $6.9 billion in Canada in 2016, ranking it 14th globally down from 10th in 2012. Mapped is the travel channel of Daily Hive. Come here for travel guides, tips, news, and all the inspo to ignite your wanderlust.